The Kilimanjaro DW Folder was designed by master bladesmith Daniel Winkler to offer a durable, high-performance knife at an affordable price point. 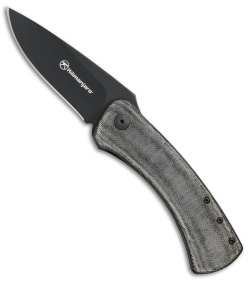 Black teflon coated AUS-10 blade with a flipper opener for quick one-handed deployment. Ergonomic Micarta handle scales sport a pre-worn texture to provide a comfortable grip. 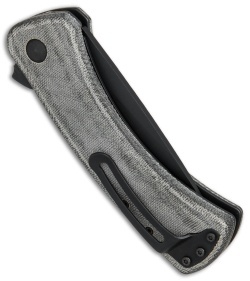 Tip-up carry pocket clip allows secure everyday carry. The example I received has some issues. The blade is off center so bad that it is rubbing on the liner. There is no bladeplay, so some tinkering will have to be done to fix it. Secondly, the blade is so dull that I can run my finger up and down the blade (not across) with fairly hard pressure with no danger of cutting myself. The grind also is uneven by at least 1/4". If these two issues were squared away, it would be a much better knife. I can't talk about the edge holding ability of the AUS10 because I can't cut anything! BladeHQ did an amazing job of getting it here very fast. No complaints with BladeHQ. First off, the shipping on this was insane, ordered it two or three days ago, and got it today. Awesome! 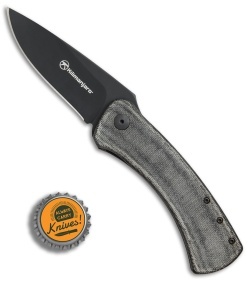 The knife is solid, very much a no frills knife. 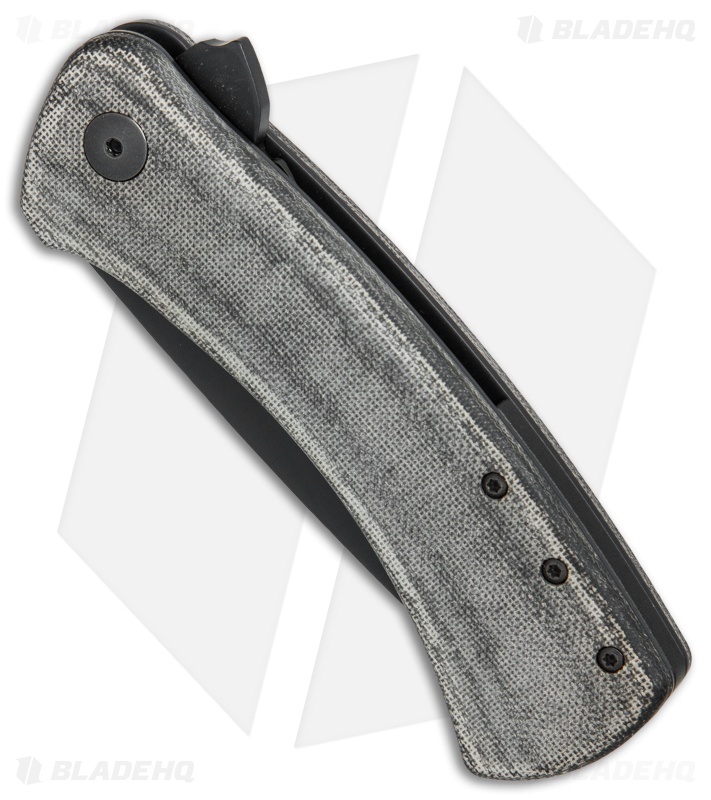 Flipper is smoother then I expected, but if its not hit with a fair amount of force it wont lock up properly. Its very thick but the Micarta fills my XL hand well. One easy improvement would be to give the frame a small cut out opposite the lock as sometimes it can be difficult to disengage. All around a very cool knife and a good price point for those of us that have admired Mr.Winklers knives but could never afford one.